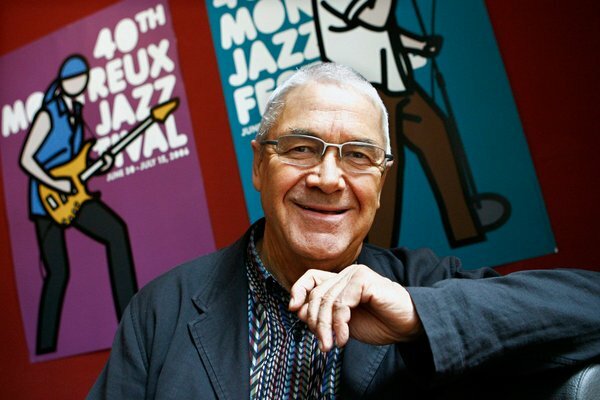 Claude Nobs, who founded the Montreux Jazz Festival in 1967 and built it into an international phenomenon far more famous than the small Swiss resort town where it was held — and far more musically inclusive than the term “jazz festival” would suggest — died on Thursday in Lausanne, Switzerland. He was 76. His death was announced by the festival. Mr. Nobs had been seriously injured in a cross-country skiing accident on Dec. 24 and taken to a hospital in Lausanne, where he fell into a coma, from which he never emerged. Mr. Nobs was working for the local tourist board when he began presenting concerts in Montreux, a quiet town on Lake Geneva, in 1964. Three years later he scraped together the money to stage a three-day jazz festival. Before long he was devoting himself full-time to running the event, which put Montreux on the international music map; it was soon recognized as comparable in size and importance to the Newport and Monterey festivals in the United States. But within a few years of its debut, Mr. Nobs began expanding the festival’s reach to encompass rock, blues and other genres. The list of musicians who have performed at Montreux includes not just jazz greats like Ella Fitzgerald and Miles Davis but also the likes of Bob Dylan, Prince, B. B. King and Radiohead. Mr. Nobs was born on Feb. 8, 1936, in Montreux. Although he loved music from an early age, he trained to be a chef and seemed set on cooking as a career until he went to work for the tourist board as an accountant in 1960. While working in promotion there, he produced a concert featuring the Rolling Stones in 1964 — he later claimed that they were so little known at the time that he had to give away tickets — and shortly thereafter he began making plans for a jazz festival. In 1966 he traveled to New York to line up performers for the event. Without an appointment, he visited the Atlantic Records executive Nesuhi Ertegun, who was receptive to his pitch and arranged for Mr. Nobs to book the saxophonist Charles Lloyd (whose quartet included Keith Jarrett on piano) at the inaugural Montreux festival. That first festival, held in June 1967 at the Montreux Casino and organized with the pianist Géo Voumard and the writer René Langel, attracted about a thousand people. It now lasts for two weeks, is held on several stages both indoors and out, and in recent years has regularly drawn more than 200,000. After the pianist Bill Evans recorded a Grammy-winning album at the 1968 festival, it quickly became a popular site for live recordings: the All Music Guide lists more than 400 albums with some variation of the words “Live at Montreux” in the title. Among the performers most often featured at Montreux was Miles Davis. The Columbia Records boxed set “The Complete Miles Davis at Montreux,” documenting all his performances from 1973 to 1991, consists of 20 CDs. Mr. Nobs liked to recall that when Davis first played Montreux, he provided him with a Ferrari — and Davis complained that the car was red rather than his preferred color, black.